The Kansas Farmers Union Foundation was created in 1997 as a 501(c)(3) organization supporting education on rural and agricultural issues and providing resources for rural economic and cooperative development. Through the KFU Foundation, Kansas Farmers Union brings important educational and networking opportunities to all Kansans. 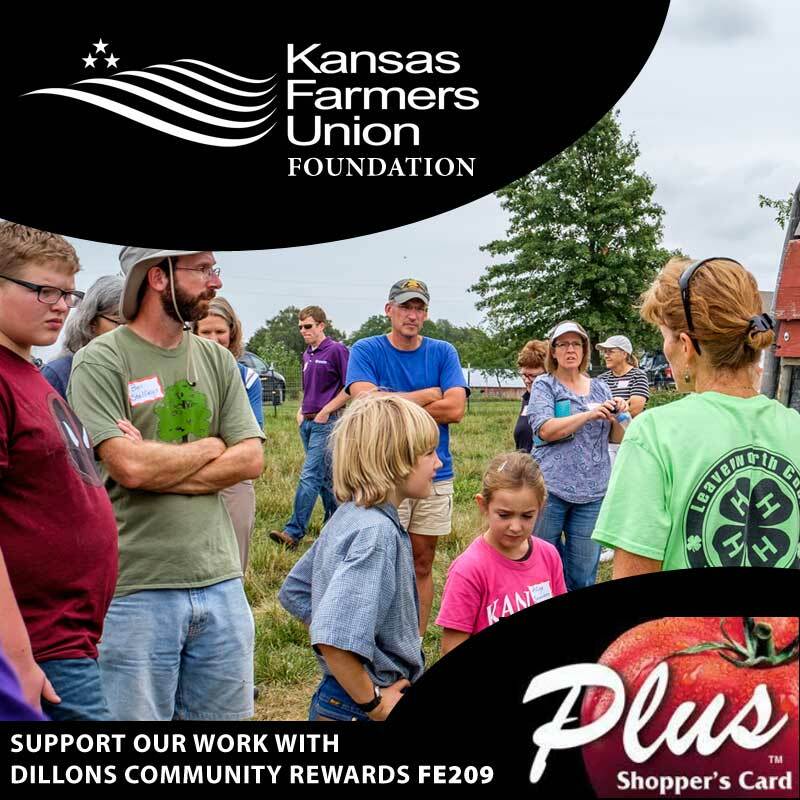 Examples of this programming include Amazing Grazing, Kansas Beginning Farmers Coalition, Food Hubs and Co-ops, College Conference on Cooperatives, Kansas Family Farms Day, and our work with Farm Aid and the Farmer Veteran Coalition of Kansas. Much of the Foundation’s work is funded through grants from organizations and agencies like the CHS Foundation, USDA NIFA, the North Central Extension Risk Management Agency, and Farm Aid. Individual contributions to the Foundation allow us to meet immediate needs and more quickly respond to emerging issues. That’s why we need YOU! To make a tax-deductible, financial contribution using PayPal or credit card, please visit the KFUF Donation section of our shop. To bid on a KFUF auction item, please join us for the convention banquet on Friday, December 11!